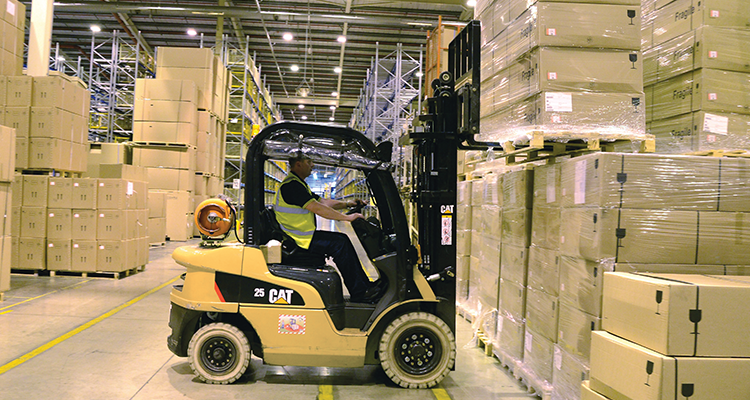 When Impact Handling won the contract to supply Cat Logistics’ UK materials handling fleet it overcame several challenges with a combination of planning, attention to detail and agility. Caterpillar Logistics Services (Cat Logistics) is a 3PL (third party logistics) company that provides fully-integrated supply chain solutions both to its parent, Caterpillar Inc., and to more than 50 other leading corporations across the world. Its UK operation is the largest outside the USA and employs around 2000 people. The main UK facility is a 200,000 sq m site at Desford, near Leicester, England, from where it serves five client businesses. The fleet at Desford accumulates around 270,000 hours annually, working pretty much round-the-clock and handling almost seven million consignments a year. 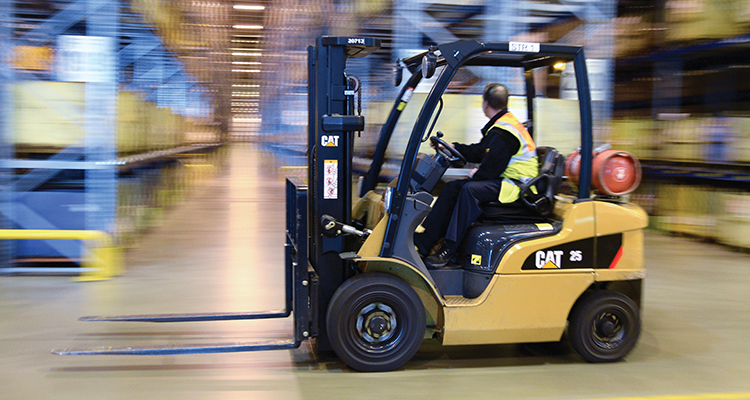 Impact Handling acquired the supply and maintenance contract for Cat Logistics’ fleet in April 2011. 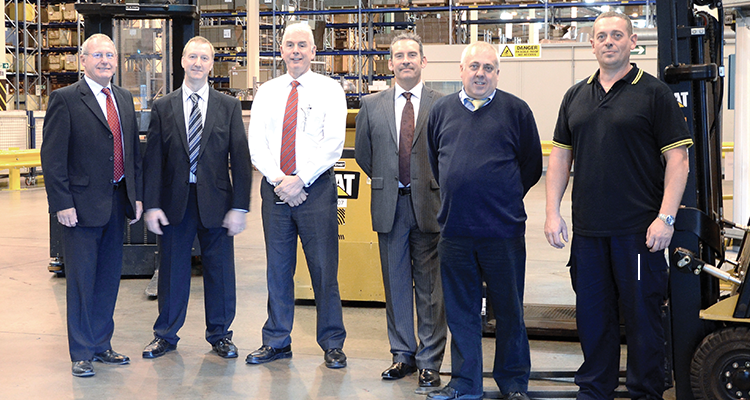 While Cat Logistics is part of the Caterpillar family of companies, it has to run all aspects of its operations profitably and, even as the UK’s Cat Lift Trucks dealer, Impact did not get a free pass – they had to demonstrate their ability meet the challenges such a huge operation throws at them. The hurdles began immediately, when the changeover period was cut from three months to a matter of days. “Some of the vehicles were on short-term rental and the first thing we had to do was to re-populate the fleet, at short notice,” said Geoff Newbery, Impact Handling’s contract manager. “We did it over the weekend.” Having dealt with that particular issue, Impact began to implement the plan it had developed after carrying out a site survey, beginning with improved fleet co-ordination. “We zoned the fleet into customer business units and families of vehicles, and introduced reporting by site and business unit,” said Newbery. The workshop was rewired, eliminating a ‘spaghetti bolognaise’ of extension leads, and remapped to improve workflow. Reporting and data management underwent a step-change, to improve frequency, quality and accuracy. Digipens, which use GPRS radio technology, immediately transmit job sheet information to the central server. The data, collected and collated on Excel spreadsheets, enables Impact to identify the ‘Top 10’ problem trucks at any time and to provide the customer with a clearer picture of how the fleet is performing and where it is costing money. The two parties can then determine strategies to boost availability and control costs. Cat Logistics’ fleet amounts to 155 units, including a few that are customer-owned, 18 on short-term rental and the bulk on all-in maintenance (AIM) contract hire. 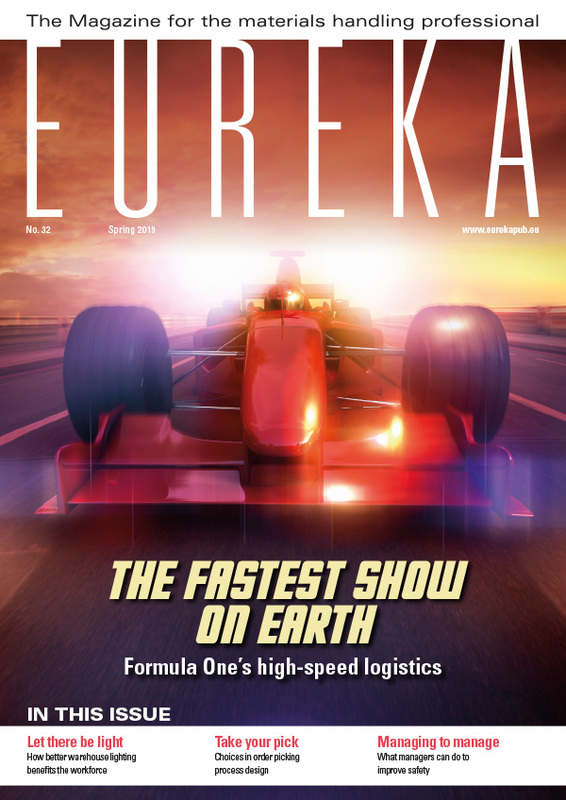 The fleet extends from low-level order pickers to reach trucks and everything in between. 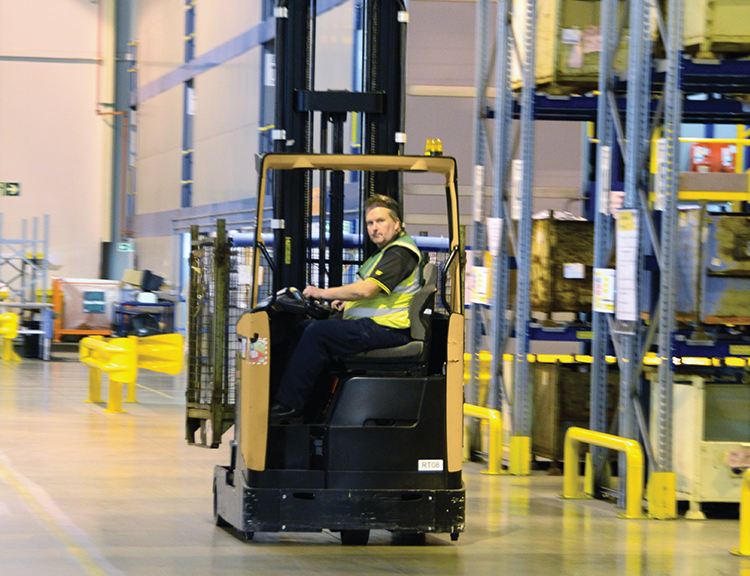 The vehicles cover every aspect of warehouse management and operations and include electric, LPG and diesel power; some of them are 15 years old. There are standard trucks but also vehicles equipped with long forks, rotators, fork positioners and shorter masts for use in containers. The wide range of ages and mix of ownership require detailed analysis and support. Having clarified the customer’s needs, from both initial survey and experience, Impact has identified the right equipment for the right applications and made some change to specifications. The short-term rental component is now much smaller than that it inherited and damage is under better control. Vehicle availability is paramount and one of the greatest challenges with a forklift fleet is downtime due to accidental damage; incidents involving forklift trucks remain the largest source of industrial and workplace accidents in the UK. Cat Logistics has embraced a system called FTC (fork truck control), a system that is used to monitor and control damage. Each driver has his own fob, which identifies who is driving the truck at any time. FTC has helped to reduce the number of incidents, identify training needs and modify driver behaviour. “We have achieved fewer breakdowns and got the fleet availability level up, over the 97 per cent target,” said Newbery. “Damage costs are down, too. We have been able to drive out the expensive older equipment, which had been kept as back-up stock, because our maintenance program is working effectively.” Impact has three people on site but constantly reviews staff availability, in order to provide the required cover and optimum service levels cost-efficiently. Its VLR system, which gives notice of the vehicles that will be off the road at the end of each day, means that it knows the areas that need attention. Location: 200,000 square metre logistics centre at Desford, Leicestershire. Fleet: large fleet ranging from counterbalance gas and diesel trucks to order-pickers and reach trucks. Mixture of tenure. Challenge: to improve technical support, responsiveness and reduce costs. Support: 3 on-site plus off-site personnel. 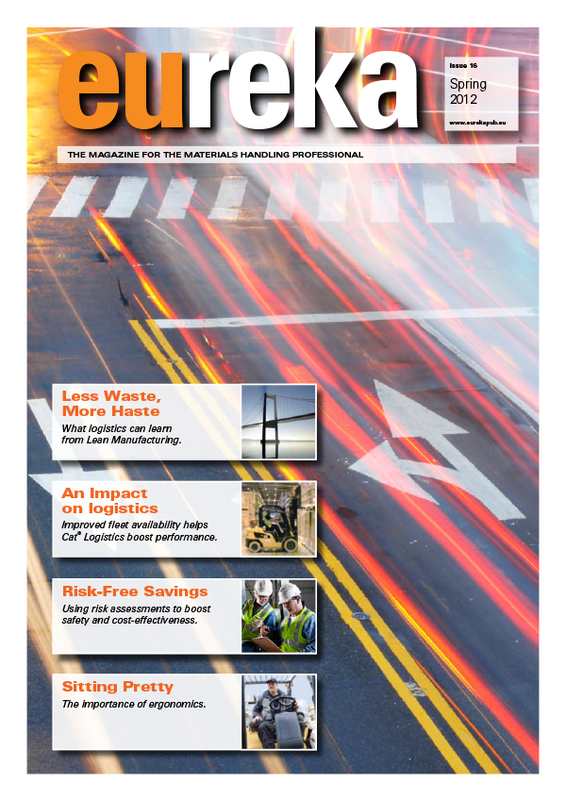 Outcome: improved availability, reduced downtime, less damage, lower costs.